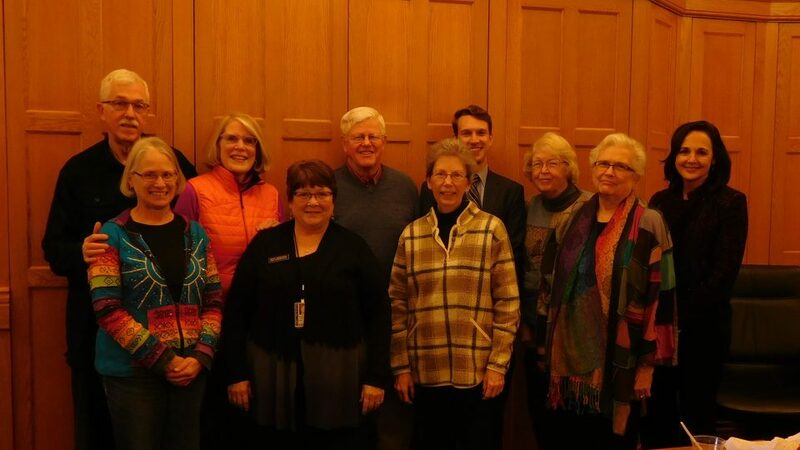 In Des Moines, Iowa, a group of 14 faithful people launched the first JFM “Hunger for Change” JustMatters module. Over eight sessions, they explored the realities of food insecurity in the world and asked each other how their faith called them to respond. 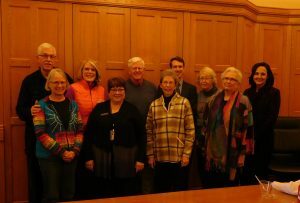 They engaged in an immersion experience that brought the issues of hunger directly to the Iowa State Capitol. 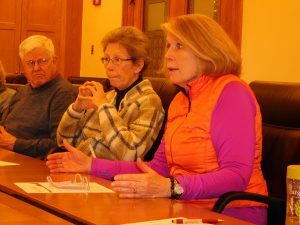 In January, 2017, the group asked to meet with a couple of legislators and lobbyists to learn about issues or policies related to hunger that might be addressed during the 2017 legislative session. 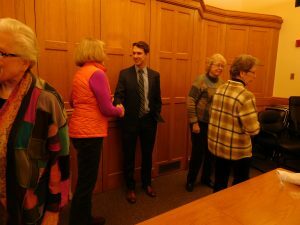 The group also asked to have a U.S. Congressperson (or staff member) available, as well. 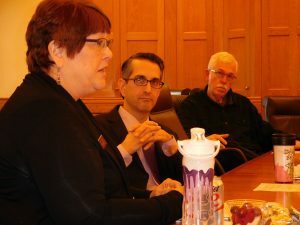 On Thurs., Jan. 12, eleven members spent two hours over lunch at the Iowa State Capitol. 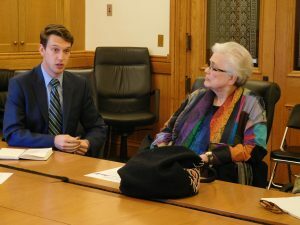 The meeting began with the Iowa Catholic Conference Executive Director and Lobbyist, Tom Chapman, sharing information about an organization called the Iowa Hunger Coalition. The Iowa Hunger Coalition’s primary purpose will be hunger-related advocacy in Iowa and they will soon be hiring a lobbyist to help with that work. Group members Robin Kline and Mary Ann Koch agreed that the visit was very enlightening and encouraged JFM to keep it as part of the Hunger for Change module.